What's in Santa's sack? 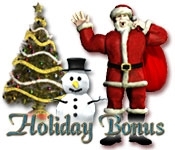 A Holiday Bonus for the whole family! 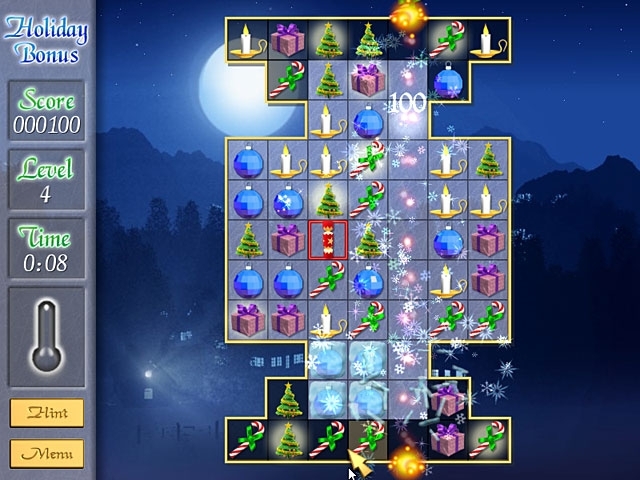 Chill out with this winter-themed puzzle game. Line up dancing seasonal shapes against stunning, snowy backgrounds as you work your way up the decorated tree. Make the right moves and your power gauge will build a bigger and brighter bonus blowout. Don't miss the festive fun!